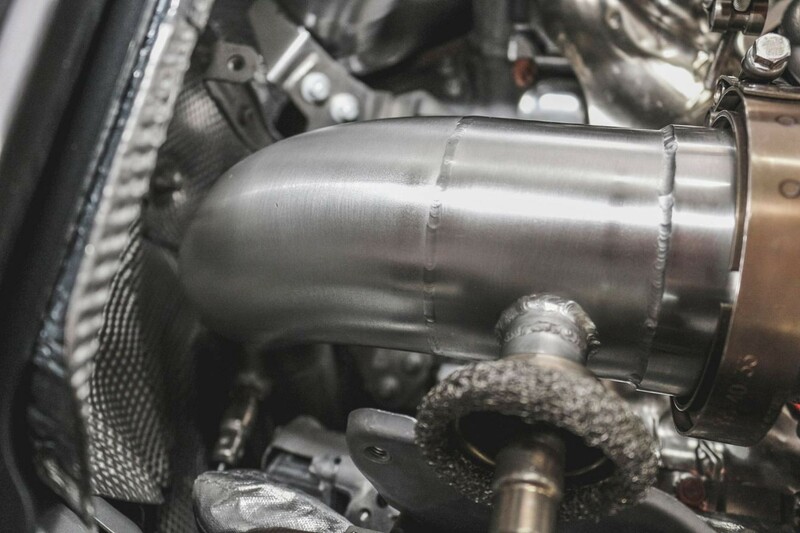 The Mercedes AMG GT 4.0L Bi-Turbo valve-tronic set up allows you the opening and closing of exhaust valves manually, via the original AMG button, making the exhaust sporty and sonorous when you want it or gentle classic when you need it. 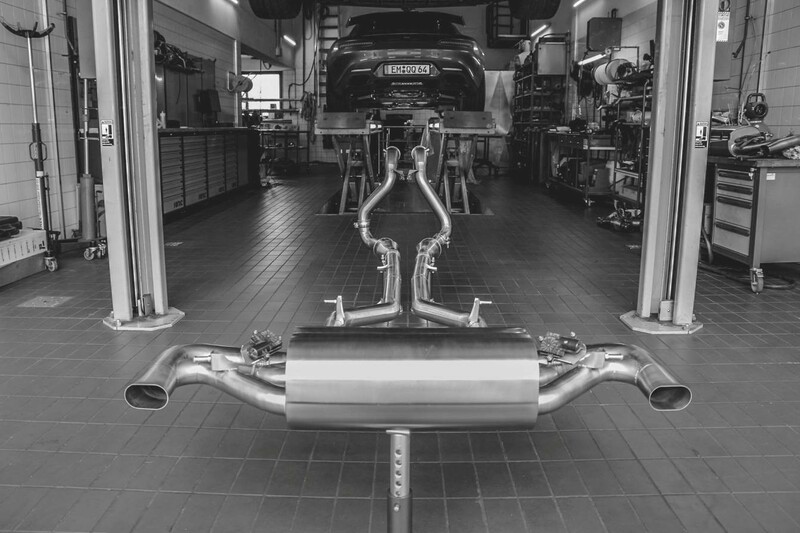 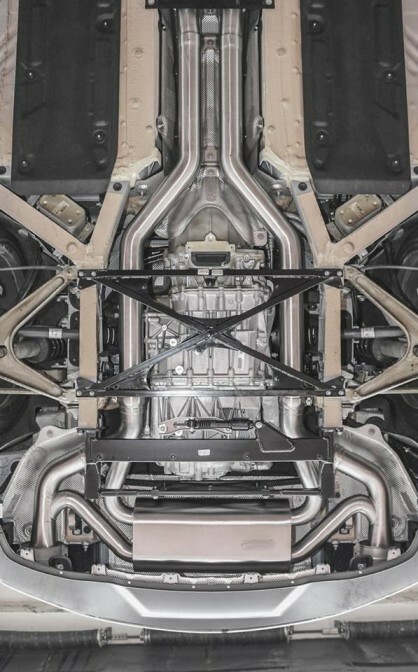 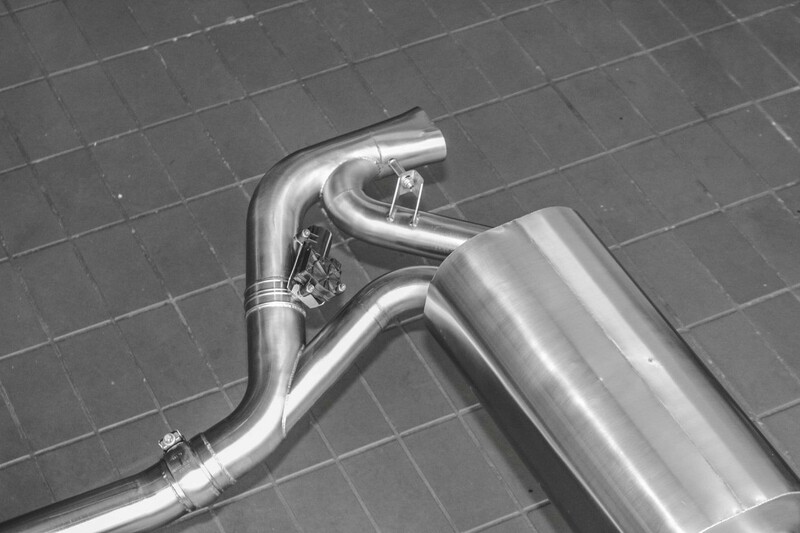 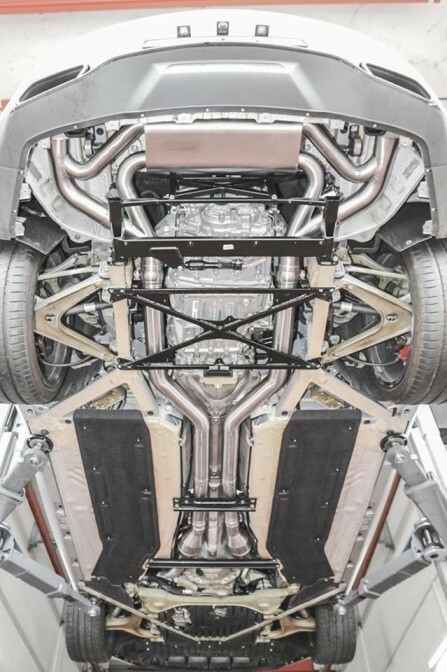 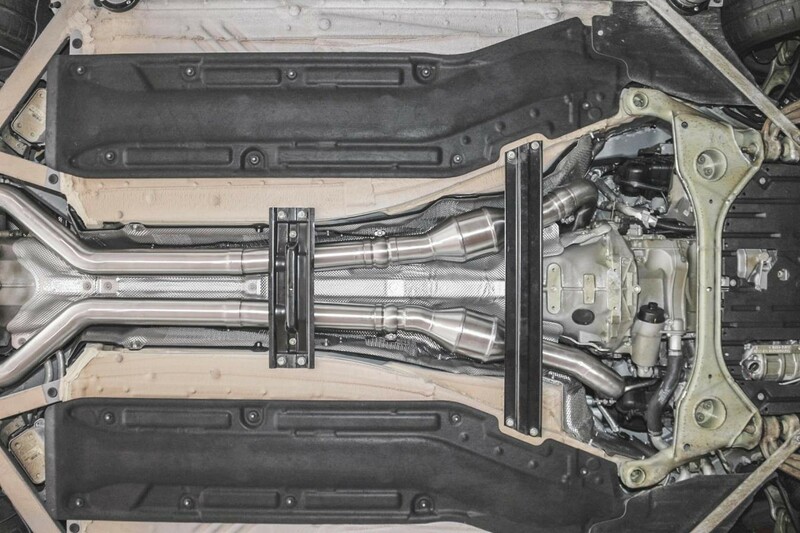 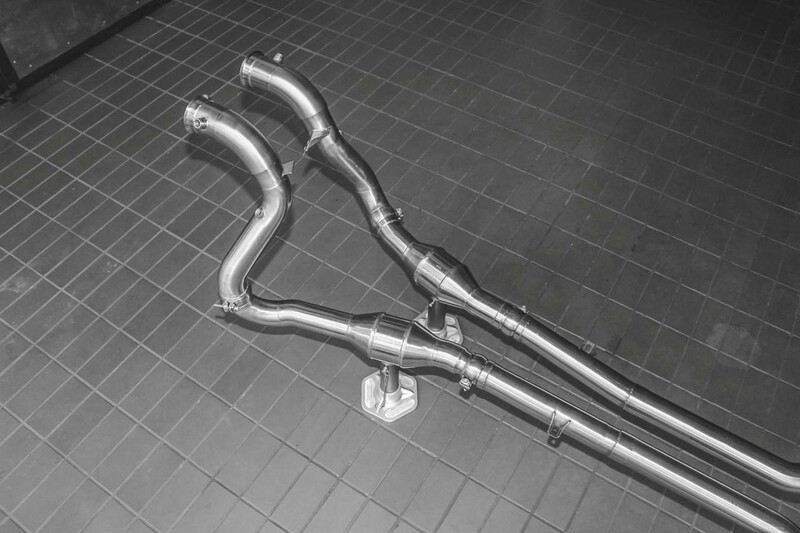 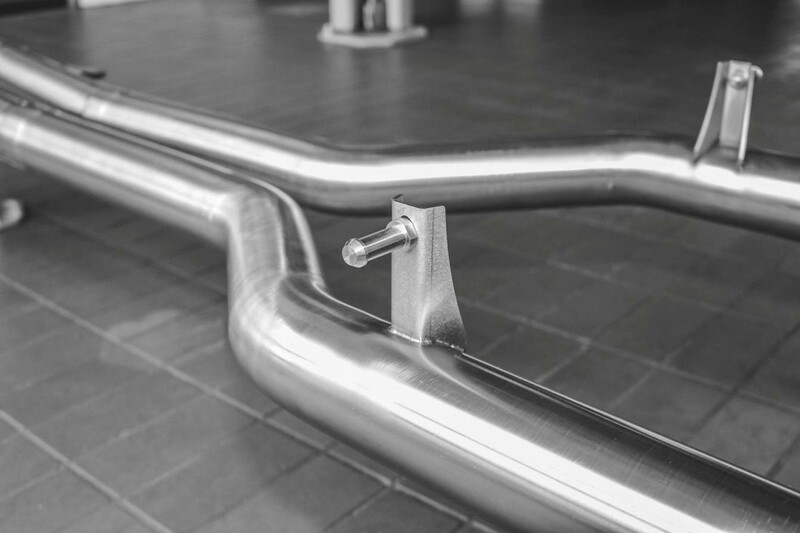 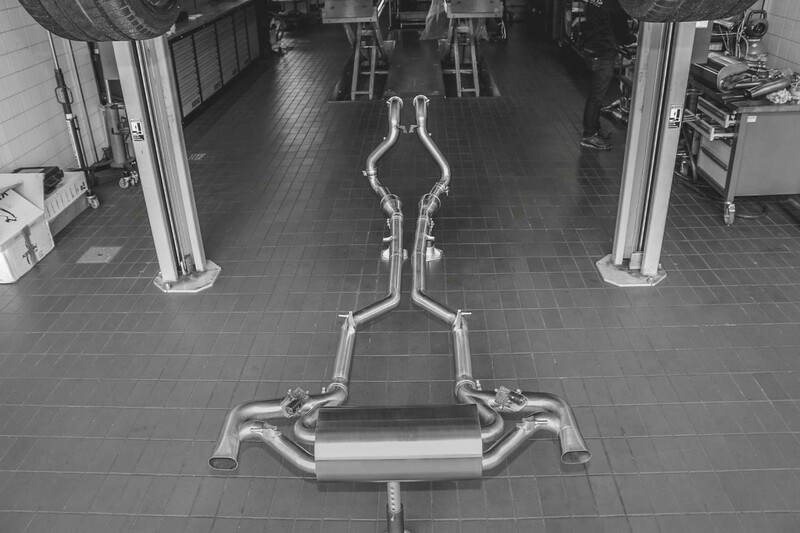 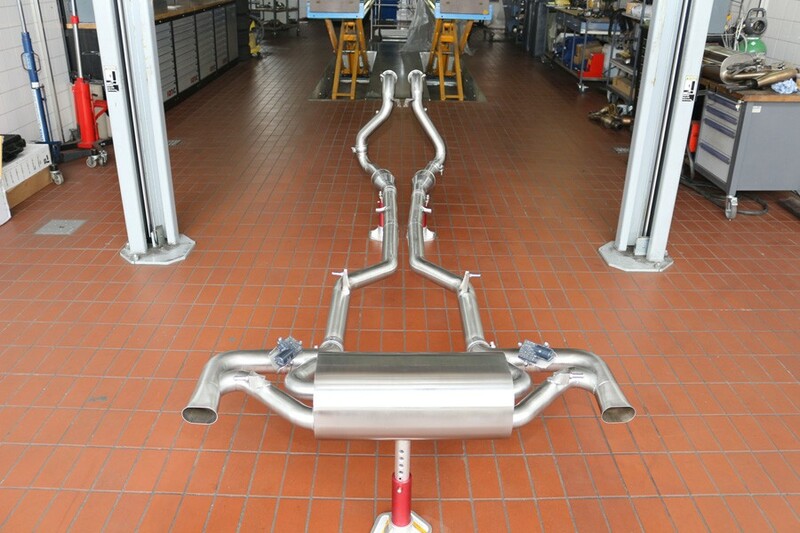 The exhaust is hand-built in Germany to ensure best quality possible. 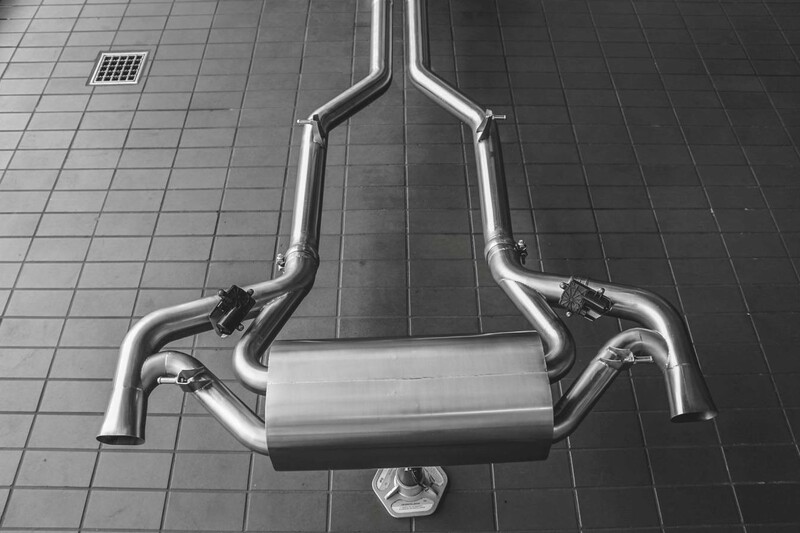 The exhaust system is developed with none drone in cabin in mind and is performance optimised on dynometer for maximum horsepower gain. 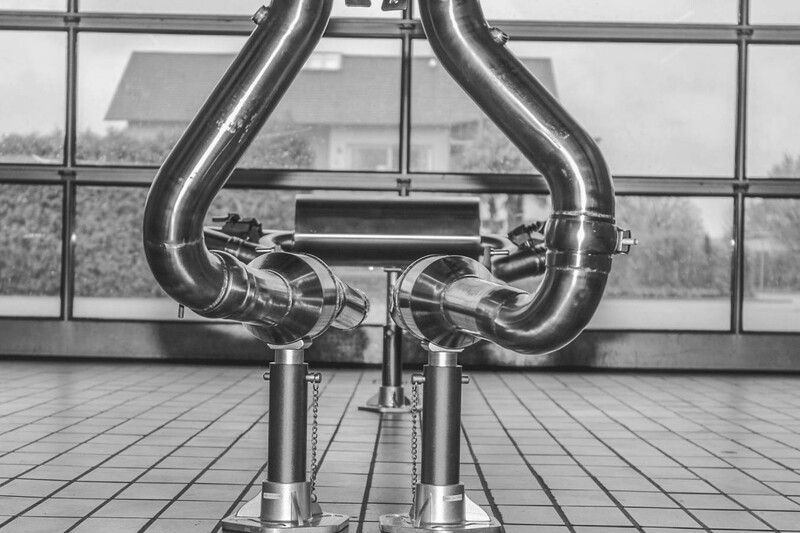 The Sturmbock valve-tronic set up allows you the opening and closing of exhaust valves manually, via the AMG button making the exhaust sporty and deeply loud when you want it or classic quiet when you need it (e.g. 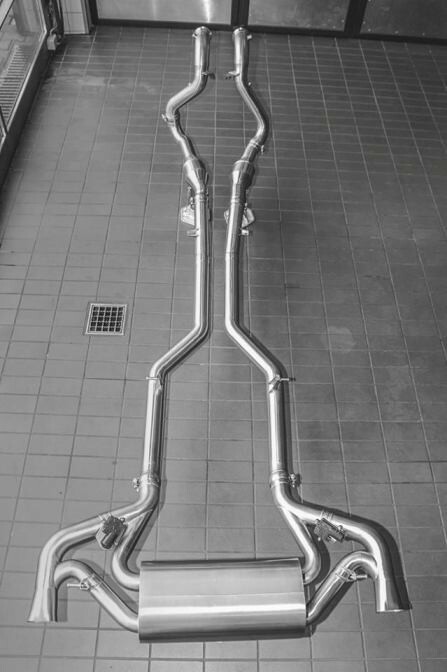 when you leaving early in the morning). 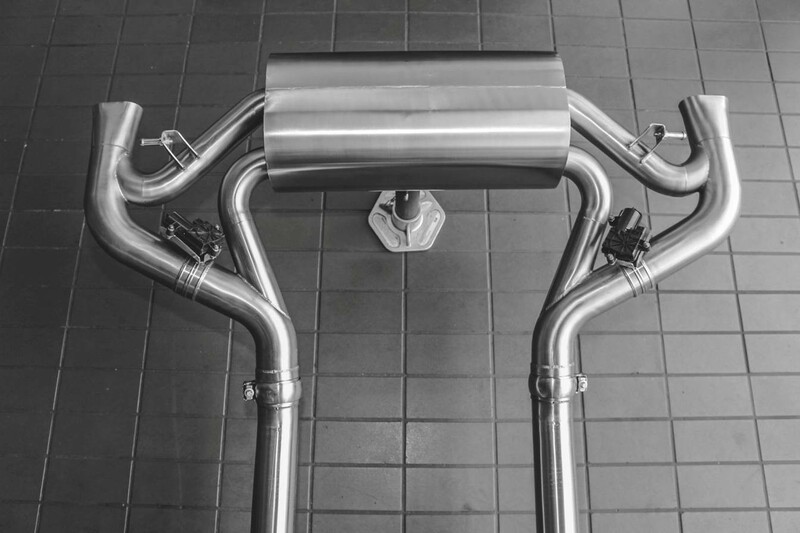 This feature makes it a very unique and personalised exhaust system with a sophisticated and elegant valve opening solution. 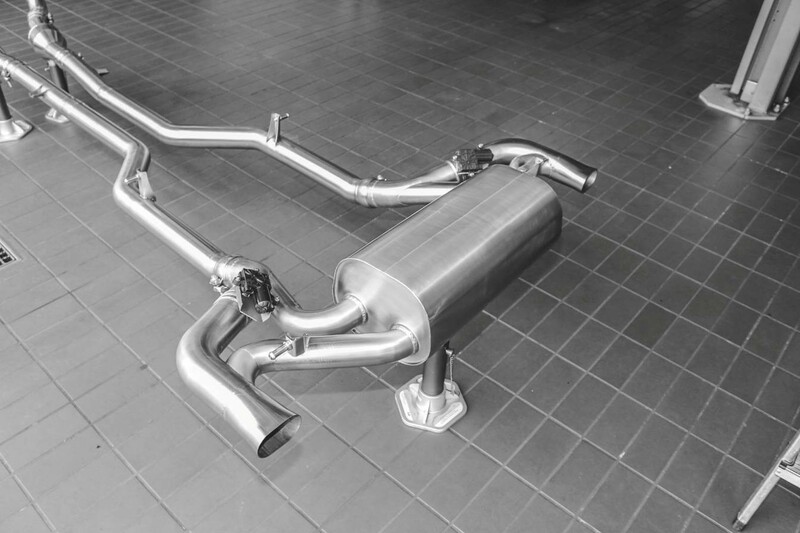 It gives you the great option to select the exhaust sound level depending what noise level you like or prefer. 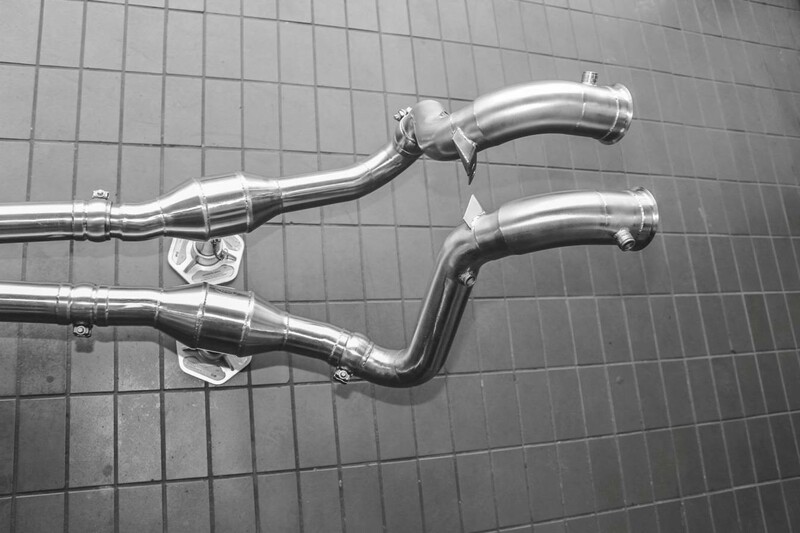 It is a very elegant solution and the sound is amazing.